Dreaming in a Shack by the Tracks excerpt 1:01 min, video and sound recording by Alex Kirt, editing by Honna Veerkamp. A longer video clip, posted by Alex, is available here and you can see more of his vinyl mosaic here. This interactive installation, presented at Southern Illinois University, was a collaboration with Alex Kirt. 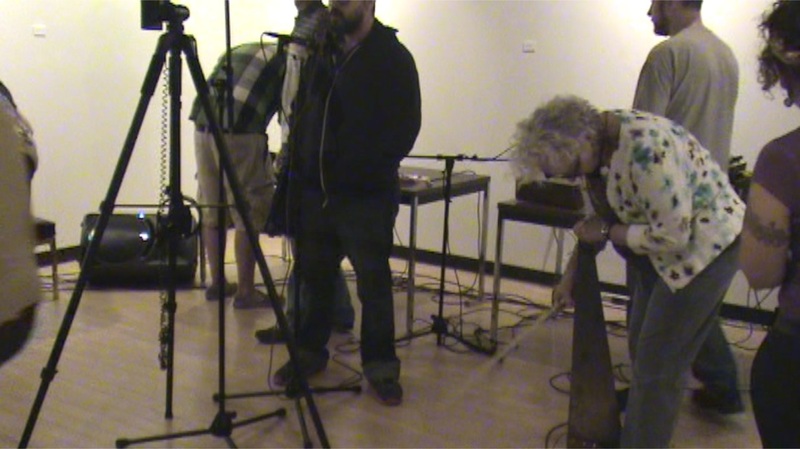 Participants were invited to play and improvise with experimental instruments. 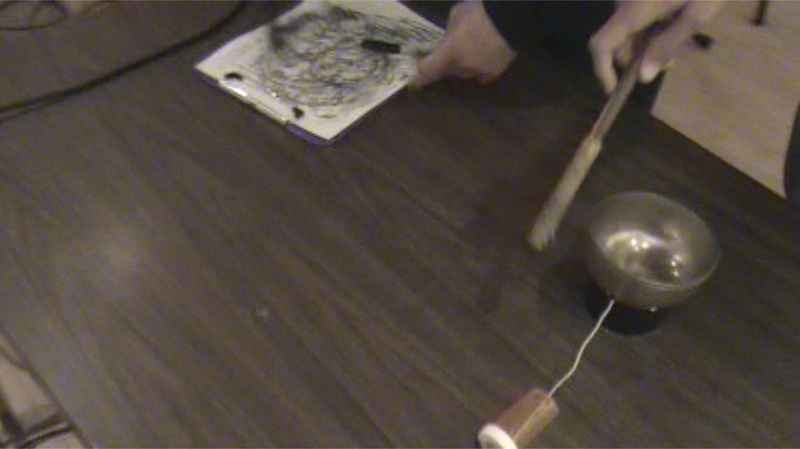 Domestic objects, including bowls, an ironing board, a saw, a writing pad, and a watering can were amplified with contact microphones that Honna built. Alex created a mosaic record, with quarters of different vinyl records glued together, that provided a heartbeat for our compositions. We also set up a microphone and a recording of a train, which engaged periodically. Our instruments were channeled through a vintage tape loop that created layers of delay and lent a dreamy quality to the music we made.